Many .Net developers have struggled so much to upload image from an Ionic application with ASP.Net Web API. 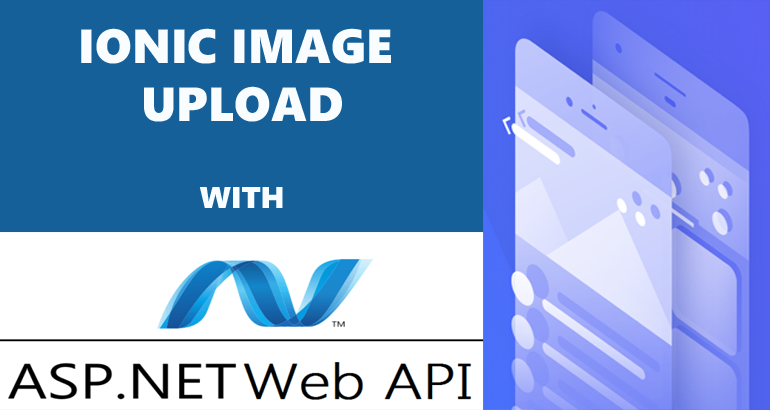 In this tutorial, I will show you how easy it is to upload image in an ionic application via .Net Web API. Since this tutorial is not for beginner I will skip how to create a new ionic app via ionic CLI. I will be making reference to those two line in the ionic app code. Open up the app.module.ts file - 'src/app/app.module.ts' and all needed imports and also include them in the providers section of the NgModule. That just create a form that has a title field and image field. I am also using Ng-If-Else to control which component to show when an image has been selected or not. Fairly simple. The file and the title in the params object. You can add more parameters to the params object and get the value with they key in the api.